The Pind became my favorite Indian restaurant shortly after it opened in 2010. I wasn't alone. Many positive reviews and customers followed over the past couple of years. That's no small thing. Prague now has a fair number of respectable Indian restaurants. One of the constants of a visit to The Pind was one of its owners, Jayant Sarkar. He was a regular and watchful presence in the dining room. He also got to know me as a regular customer. 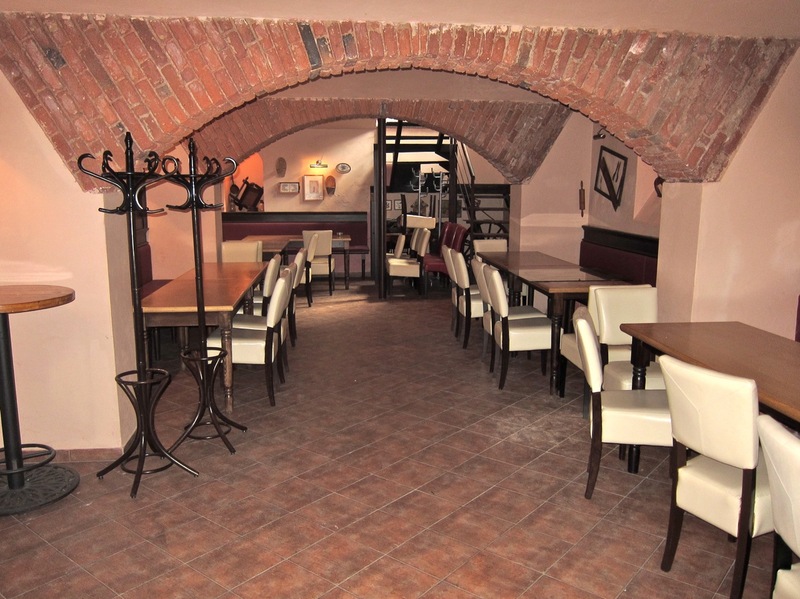 Not long ago, Sarkar left the The Pind to start his own new restaurant in Karlín. It's called Indian by Nature. Less than a week after it opened, people working in the area told me the lunch buffet was something special. As much as I like The Pind, I wasn't thrilled with their lunch buffet a year earlier, so I had my doubts. I stopped by one day before noon. Indian by Nature's airy dining room with its big windows made a good first impression. Indian music plays lightly over the sound system. This section is non-smoking. There's a huge downstairs area which Sarkar told me will become a sports bar with lots of video screens that serves Indian food. They will be showing much more than just cricket, but it's a novel concept. There are two sections below and it is almost twice the size of the upstairs dining room. Smoking will be allowed down there. Upstairs is where the lunch buffet is laid out. It's all-you-can-eat. I ate everything. 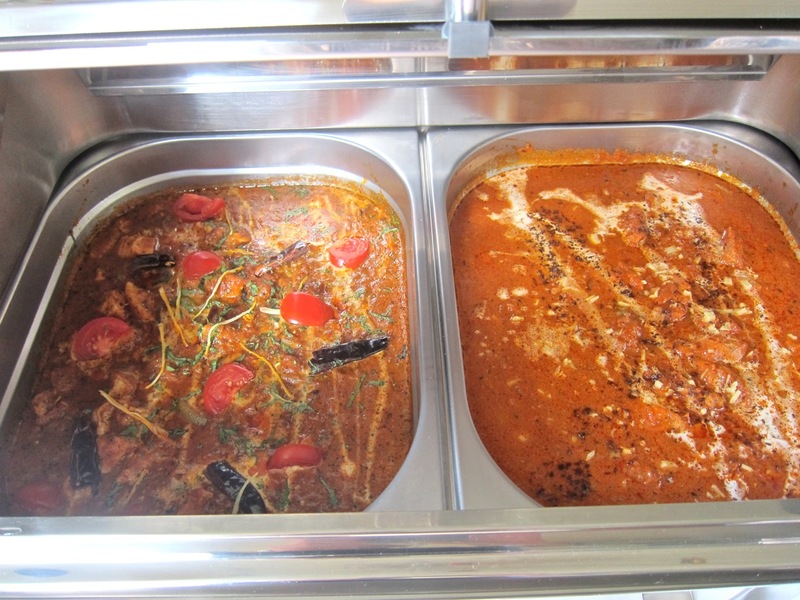 First, I tried the Chicken Tikka Masala on the right. The tomato gravy had small bursts of fresh ginger. It was impressively spicy and tangy. The small pieces of chicken were tasty and tender. It's a classic dish, properly done. On the left was kadai chicken. A kadai or karahi is a deep pot similar to a wok. I really loved this. Onions made it slightly sweeter than the chicken tikka masala. There was also capiscum and the clear flavor of coriander (cilantro). Overall, it had a richer flavor. 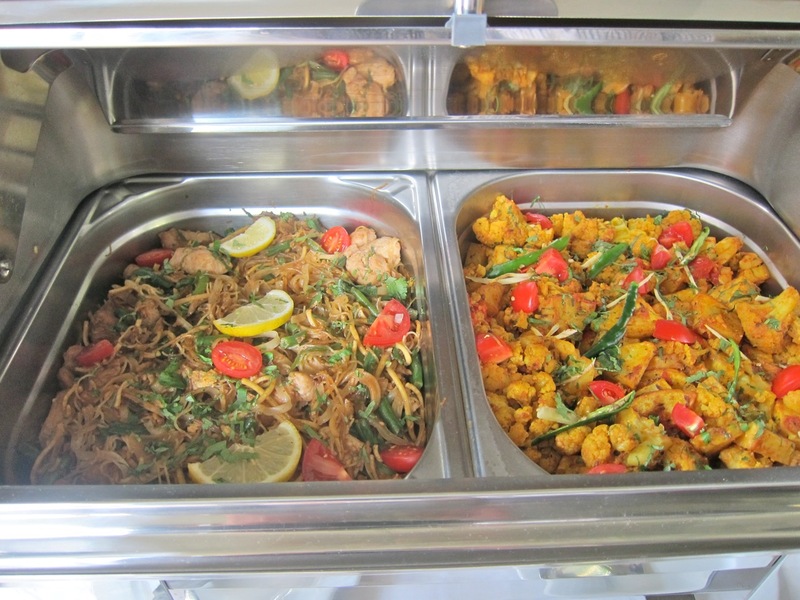 In the next tray, there was aloo gobi. The potatoes and cauliflower get their color and also pleasing flavor from tumeric. On the other side was "Bombay noodles." 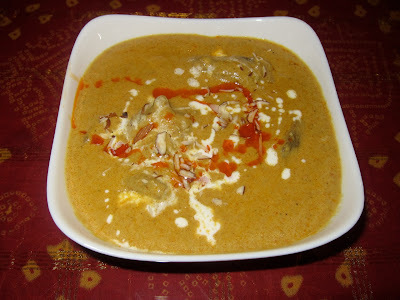 Sarkar called this an experiment and not really an Indian dish. It was glass noodles with chicken, green beans, and coriander. It tasted mostly like salty noodles. For my taste, I'd say the experiment didn't work so well. Under the third lid were vegetarian options. 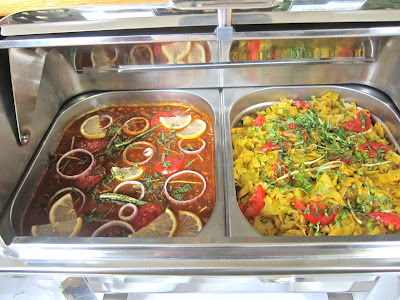 On the left was chana masala, made according the style found in northern India. The tomato gravy is a thinner, simpler version of what you'll find on the chicken tikka masala. But it is still quite flavorful, with hints of ginger. Along with that is the sukhi cabbage, which is flavored with cumin seeds. It's quite light. I was told it's cooked with very little oil or ghee. 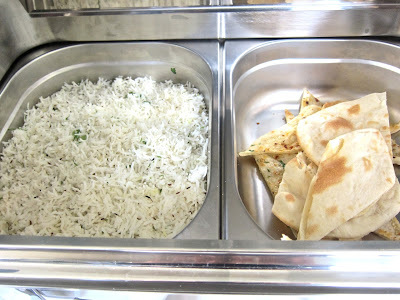 There is jeer pulao rice with cumin seeds, and garlic naan. It's good to get the bread when it first comes out. It's not as nice if it sits around too long. That's it for the heating trays, but the buffet continues. 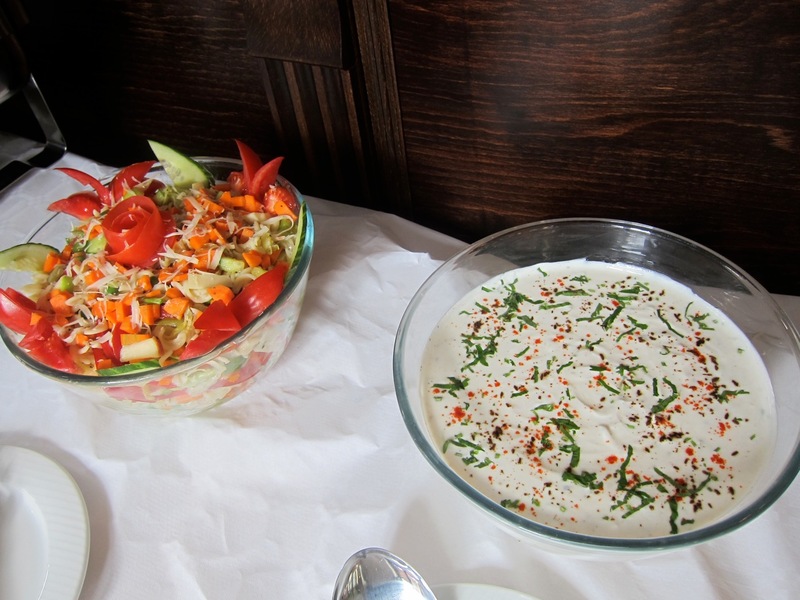 There are bowls filled with chopped salad and a nice, tangy raita. You can choose three different condiments to go with your meal. 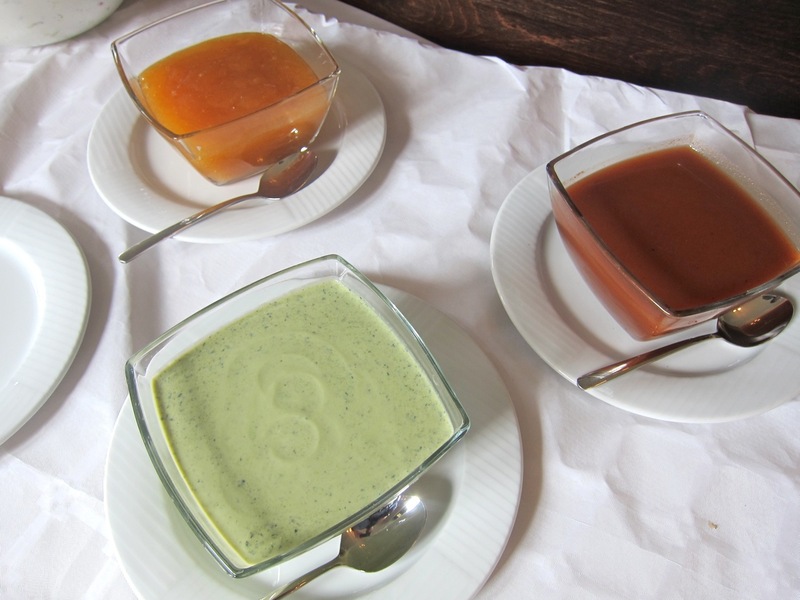 They have mint sauce, tamarind sauce, and mango chutney. They are similar to what was served at The Pind, and I like them all. Finally, there is a tray of Indian rice pudding. 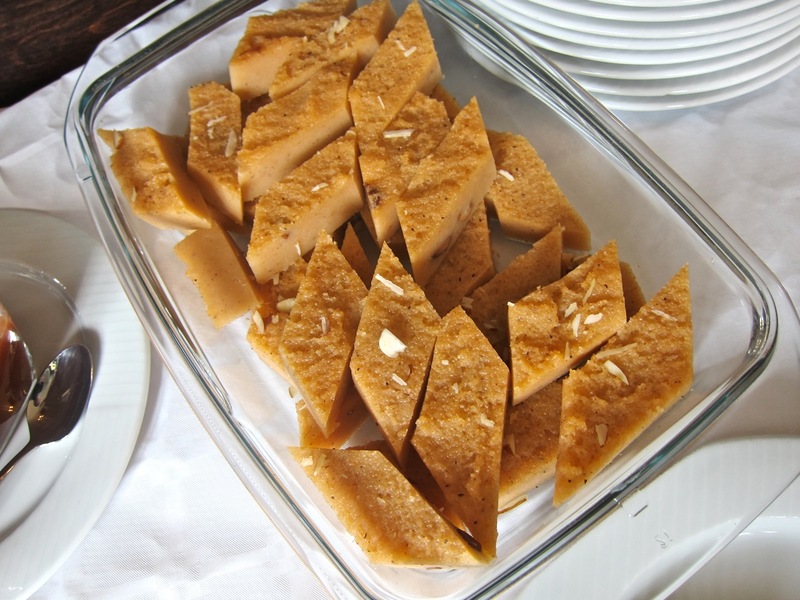 This dessert is quite simple and only lightly sweet. Browned flour is mixed with rice, a touch of milk, and almonds. When it hardens, it's sliced into small pieces. The quantity and quality of this lunch amazed me. I was told that it will not be the same every day. The different daily lunch offerings will be listed on the website. 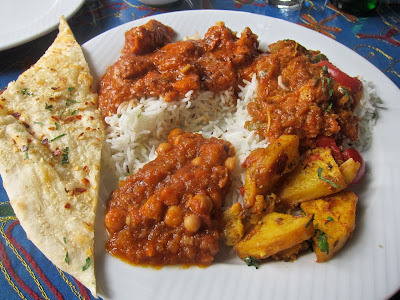 My only serious complaint is that some dishes like the kadai chicken came out of the kitchen hot, temperature-wise, but others like the chicken tikka masala and aloo gobi were just barely warm. Perhaps the flames under the trays would change that in about 30 minutes. When I saw the bill for this spread, I could hardly believe it. 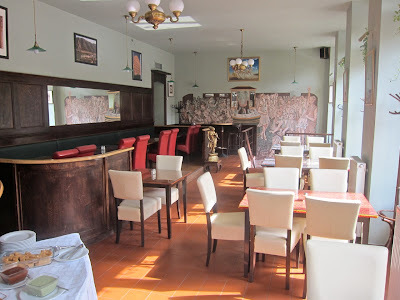 The price for all that food, as much as I wanted, was just 109 CZK. I asked if that was just an introductory price and was told that there are no plans to change it. For my money, this lunch has to be the best value in the city. Let's hope the quality and the quantity stay at this level. I came back for dinner the following week. I started off with a half-liter of Pilsner Urquell (40 CZK). It was fine. 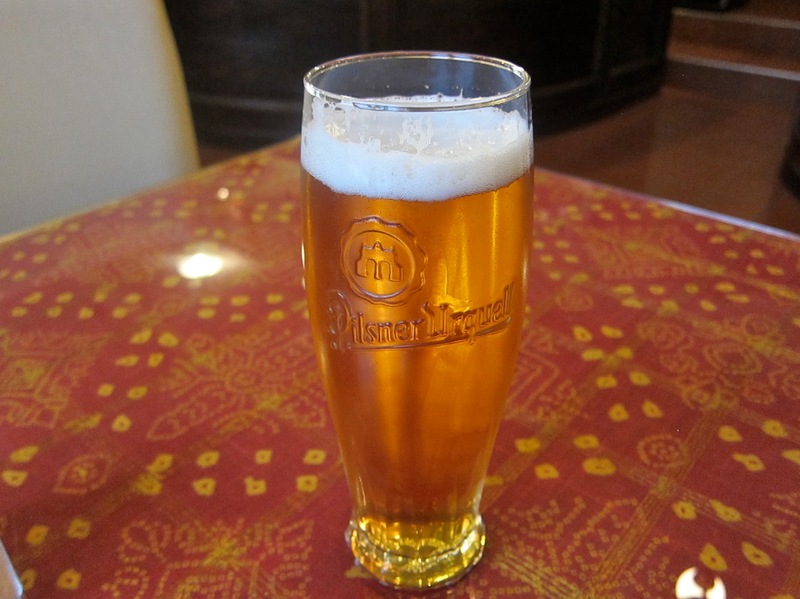 Pay no attention to the Staropramen logos on the awning and taps. Those belonged to the previous restaurant. 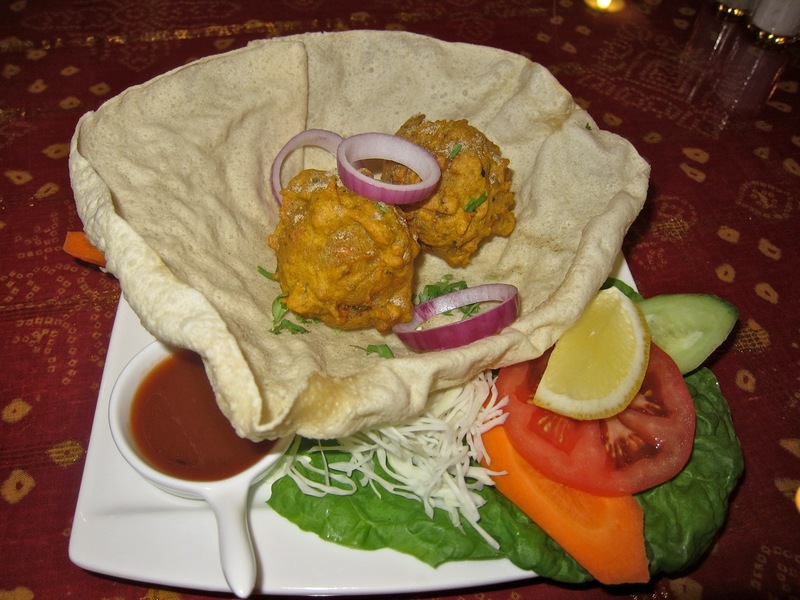 The menu has starters that many will find familiar, like vegetable samosas, but some are less common. I wanted something new and different, so I ordered the batata vada (70 CZK). These are potato fritters with crunchy shells. Inside with the steaming mashed potato are chili flakes, mustard seeds, and curry leaves. There are also partially cooked red lentils that give it a crunch. It's a deliciously spicy combination. It's even nicer when combined with the tamarind sauce on the side. The fritters are served inside a papadum that you can break up and dip in the sauce. Another new option I didn't try but would like to someday is the masala mogo. That's fried casava or yucca chips mixed with masala tomato sauce, julienned ginger, tamarind and garlic. 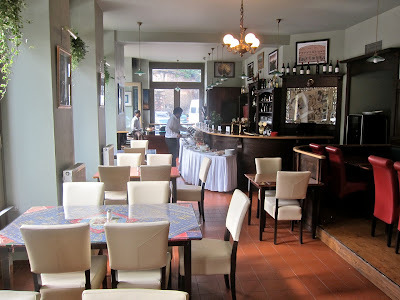 I wanted to sample as much as I could from their tandoor, so I had the IBN Platter (220 CZK). There's a lot on top of that iron, with its sizzling onions. In the upper left is the adraki chicken tikka. It has more of a ginger flavor than The Pind version, which is made with pickle. Two of the pieces had more char and flavor from the oven, but one piece was blander. In the middle top and bottom was the lamb seekh kabab. The ground meat, mixed with ginger, garlic, and coriander, was very salty, but dipping it in the sweet tamarind or the mint sauce balanced it out. Chicken malai tikka sat on the lower left side. 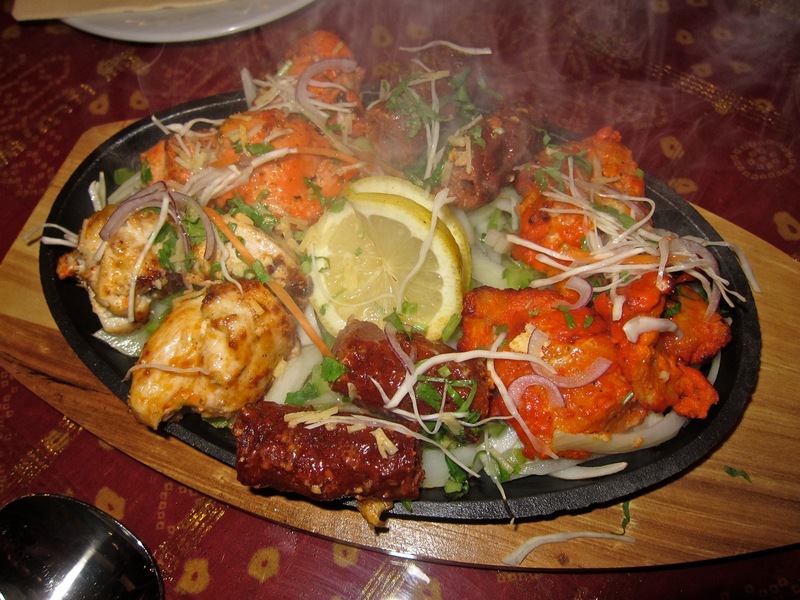 It was marinated in cream and cheese before being cooked in the tandoor. The tender meat tasted of fenugreek and cardamom. It was interesting and not something I'd tried before, but not my favorite. What surprised me was the ajwani fish tikka on the right side of the platter. I loved that the most. The platter normally comes with butter fish. I don't eat that, so they substituted talapia instead. 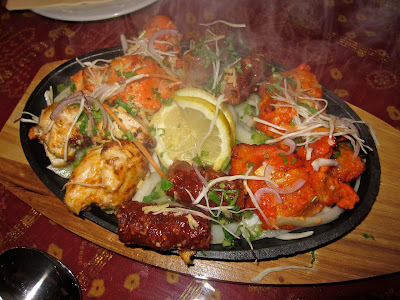 It was fresh, delicate, with the flavor of carom seeds and an incredibly smoky flavor from the tandoor. 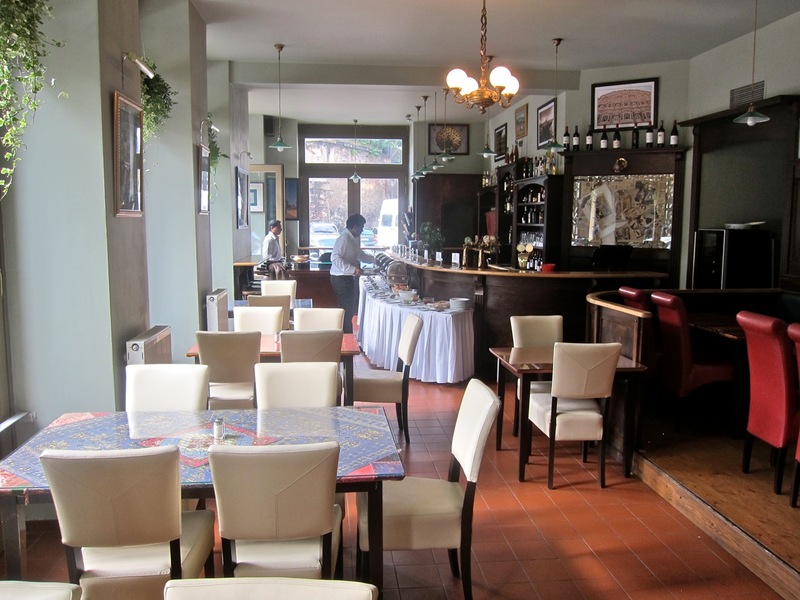 Next, I had the lamb pasanda (205 CZK). The creamy almond and cashew sauce had a very mild sweetness. Some of the lamb was very flavorful and tender. But at least one piece was tougher and somewhat dried out. To go with this, I had the lemon rice (85 CZK). 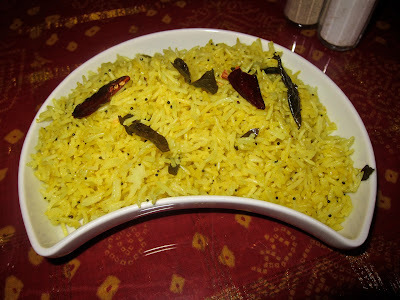 It was my favorite rice at The Pind, and this one was equally good. Along with mustard seeds and curry leaves, it also has a subtle smokiness. 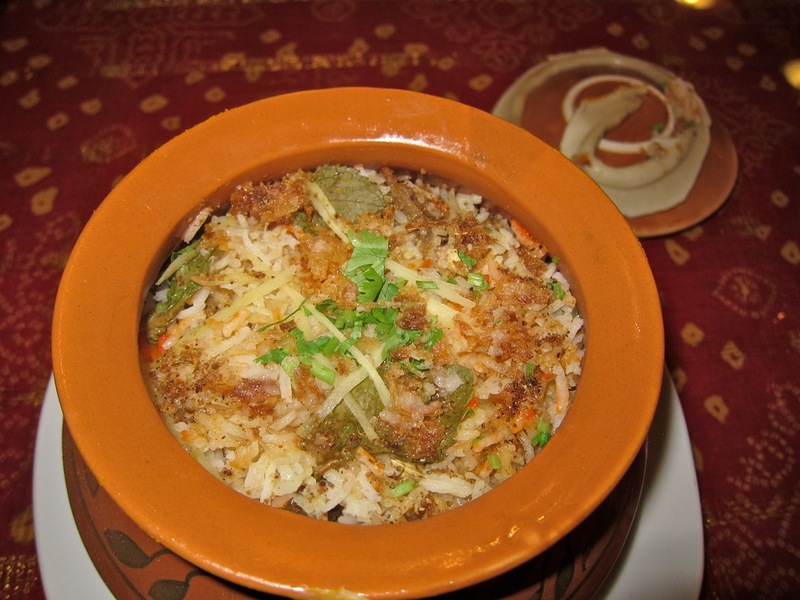 Finally, I tried the lamb biryani (220 CZK). This lamb is cooked differently than that in the pasanda. It's boiled with ginger, bay leaves, and cloves. It's served mixed with pulao rice in a clay pot. This was a great combination of flavors by itself, with ginger, mint, cardamom, and sweet fried bits of onion. The lamb also varied from tender to not so tender. 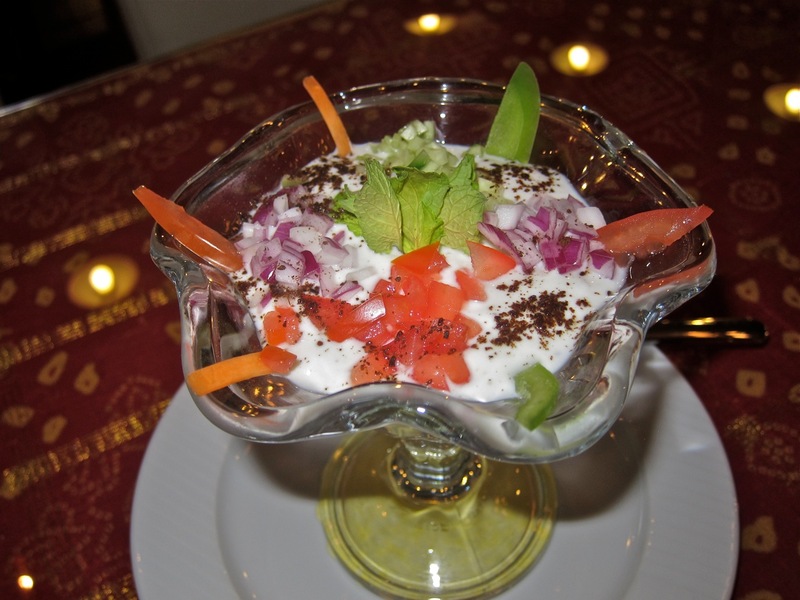 It comes with raita on the side. When it's all mixed together on the plate, it's a great dish. I ate this meal for two (or maybe three) by myself. Well, not really. I took about two-thirds of it home and enjoyed it the next day. And the day after that. 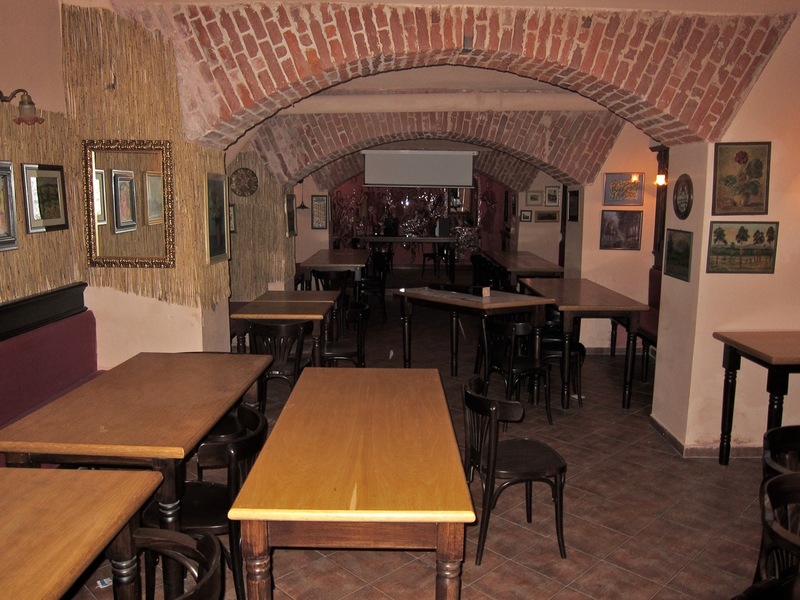 The bill for the evening came to 880 CZK. I checked the prices and many comparable dishes at IBN are around 30 CZK cheaper than The Pind. I actually live closer to The Pind, so I'm sure I'll still be eating there, too. 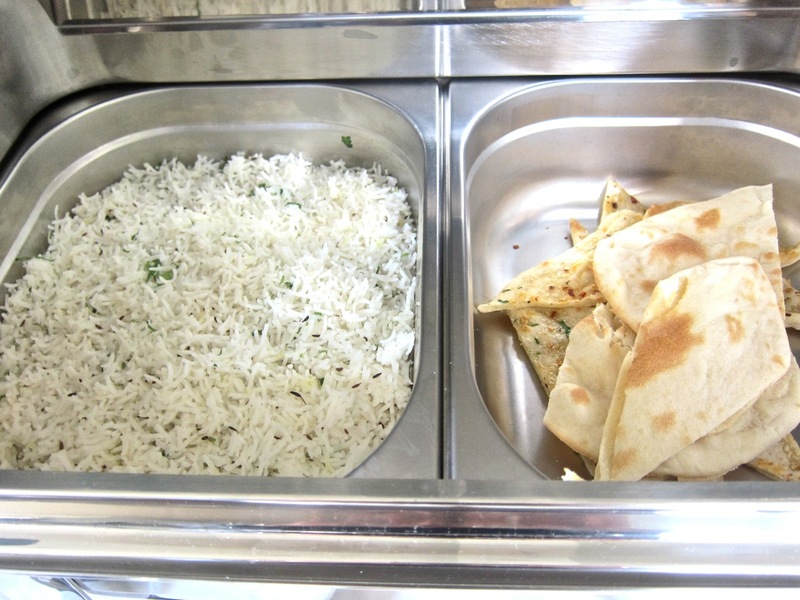 But if you're in the mood for a curry lunch during the week, Indian by Nature is an easy choice that's hard to beat. Nice blog! 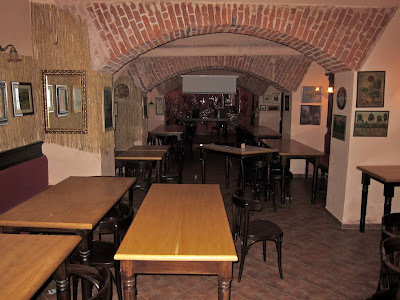 I recently went to Prague and a bit aound the Czech republic. I though, let's make a blog about it! I like how you focuse on the food, cuz it's really a bg part of traveling. if you wanna Czech (:D) it out. It's in swedish though.. I recently went there. Good value for the money but not worth a trip. 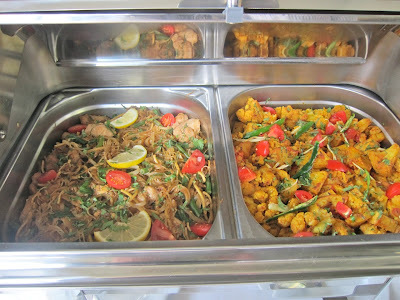 They had masala and spinach chicken, Lentils and something with mushrooms. Quality is like from take aways at Chodov park. What I did not like was the "rule" to have only one dish. So if you want to take more, you walk up the trays with messy and not pleasant thing in your hand.